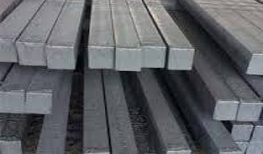 Our services span every step in the steel supply chain and include finance, provision of raw materials, steel trading, distribution, stockholding, as well as agency programs. With our 40 years for expertise in purchasing, transport and distribution, we handle significant tons of steel and steel-making raw materials per annum through a network of offices worldwide. ASI aims to be the partner of choice for producers and purchasers of steel in every part of the world. We achieve this by developing strong business relationships, by continuously improving our processes and by adding value at every step from mill to the manufacturing floor.